Electrical systems perform a vital role, regardless of industry. Therefore, ensuring adequate enclosure protection should be at the forefront of any electrical installer’s mind. However, with such variance across electrical systems, sometimes a standard enclosure simply won’t do. Thankfully, Optimas’ Components Division is now offering a cost-effective customisation service for its complete range of high-performance, branded enclosures. Specifying a customised solution traditionally entails extended lead times and increased cost, but Optimas’ Components Division is dispelling this myth. By offering customisation as an integrated service upon purchase, the premium supplier of fasteners, c-class components and accessories is providing end users with a one-stop-shop for every enclosure need - with all the associated quality assurance of a fully integrated approach. Optimas’ Components Division can offer machined enclosures with custom mounting holes, ideal for ensuring optimum cable routing. These apertures are produced with reference to pre-approved technical drawings, ensuring openings are placed with accuracy. Furthermore, additional components can be specified with any enclosure, with Optimas’ Components Division pre-assembling these components exactly to end user specification for delivery. The business can even design and manufacture bespoke parts to compliment enclosures, providing specifiers with total versatility when it comes to accessories. The outside of your enclosure can also benefit from a wide range of aesthetic finishes and coating options. EMC shielding is available in-house, ensuring that electromagnetic and electrostatic fields cannot affect electronics housed within. Painting services are also offered, so that end users can tailor their enclosures to suit a specific plant aesthetic. Printing means that enclosures can be produced with specific information on the exterior of the enclosure, which can be of benefit to plant operators or maintenance staff. Optimas’ Components Division can even add a label of your choice in any colour, which can be useful for branding. As is typical with Optimas’ Components Division, quality of service extends well beyond the physical product. The dedicated team at Optimas’ Components Division can walk you through every aspect of the specification process, from drawing assistance, to recommending layouts and sourcing non-catalogue or customised accessories. Kitting and bagging to customer specification means that enclosures can be delivered to exact preference for easy use straight from the package. Integrated inventory management further ensures increased space efficiency at your site, with required stock ready for delivery at the optimum moment. A full integrated dyeing service is also available, providing end users with even more value. The fully integrated enclosure customisation service provided by Optimas’ Components Division ensures that end users can specify their perfect enclosure, with all the benefits of a reduced Bill of Materials (BoM). 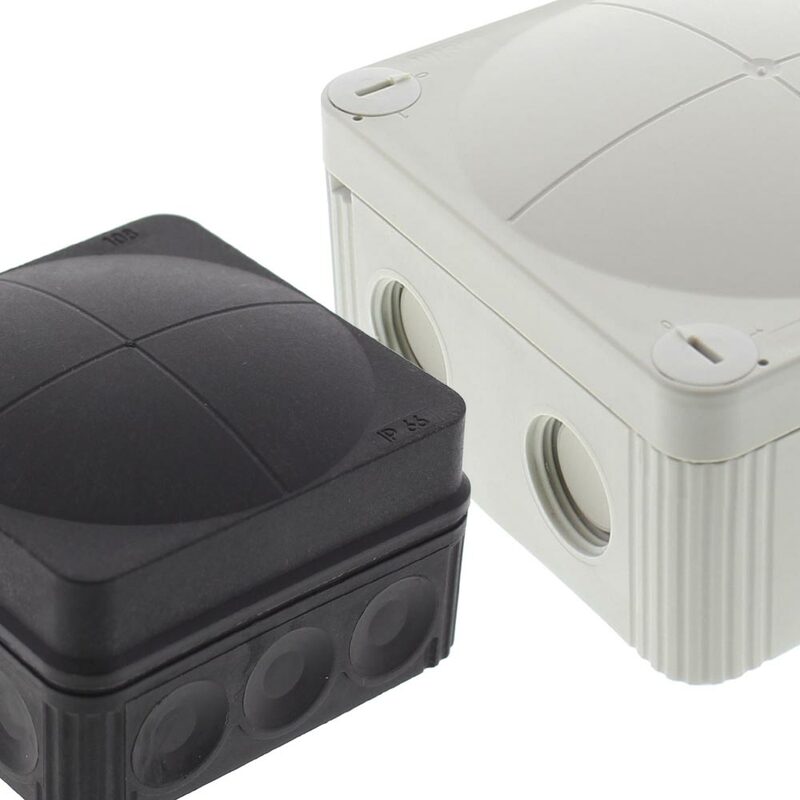 This means whether your electrical system is located indoors or outdoors, in a challenging or sensitive application environment, an exact enclosure solution is readily available from a trusted, reliable source. Image 1:Optimas’ Components Division can offer machined enclosures with custom mounting holes, ideal for ensuring optimum cable routing.